If you’re the type that tries to thwart aging at every turn, you probably know a thing or two about collagen—and how this supportive protein is responsible for smooth, bouncy, line-free skin. You probably also know that the quality and quantity of collagen declines as the years march on (which is why we try to protect it with sunscreen and antioxidants, and keep it coming with retinoids, microneedling and the like). So what if you could give your collagen a boost by dropping a tablet in your water bottle? 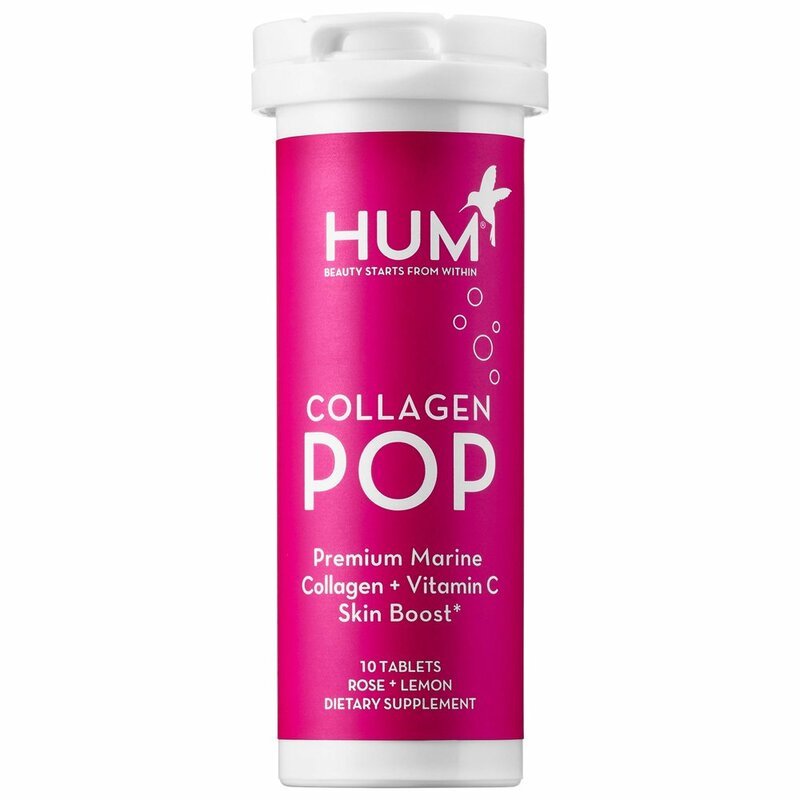 With HUM Nutrition’s new Collagen Pop, you can! Packed with sustainably-sourced, marine-derived collagen peptides and vitamin C (which is essential for collagen production) these tablets are also made with lemon and rose petals that lend a sweet flavor. Clinical studies on Collagen Pop’s collagen peptides showed an improvement in skin smoothness and firmness in as little as four weeks, so one tablet a day really can help keep wrinkles away. Bottoms up!